Mr. Jack Johnson is a retired teacher and administrator, having taught school, and retiring as the Superintendent of Lincoln Schools. In his many years of education he also coached many sports, both little league and school sports. He also worked with the Kentucky Department of Education and directed Whitley County Schools. Jack and his wife, Hartese are members of Stanford Baptist Church where he has served on many committees and boards including Finance. He taught Sunday School for 30 years and served as Sunday School Superintendent. He has been involved with many community organizations. He is a member of Stanford Rotary, and served as President. He is also a member of Stanford Lions Club and Stanford Ruritan Club. Mr. Cooper is retired from Shelter Insurance, a business he started in 1967, growing it to the largest agency in the state. He won over 40 major trips with his business. Dickie is a 1965 graduate of Centre College with a double major in Chemistry and Biology education and training. He also played basketball for Centre. He taught high school in 1966-1967. 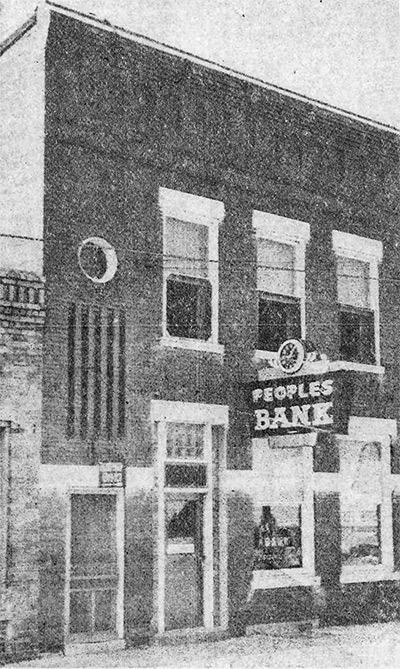 Mr. Cooper served as Director at Lincoln County National Bank from 1970-1975. He served on the Advisory Board of Farm Credit and on the Board of Fort Logan Hospital, serving Chairman of the Board for several years. In 1985 he started a new church congregation, Fort Logan Church of Christ that now has over 100 in attendance. Bruce Edgington has been with PBK Bank since 1998, and has served as our Chief Executive Officer since 2001. He is a member of Stanford Rotary, previously serving for two terms as President. He is also a member of Stanford Lions Club and a former Lincoln County Chamber Board member. Additionally, Bruce serves on the Stanford Lincoln County Industrial Authority Board, formerly serving as Board Chairman. He is a former President of the Kentucky League of Savings Institutions and is actively involved in the bank’s Relay For Life team. Mr. Peyton is a farmer, owning over 200 acres, with cattle. He is a member of Casey County and Kentucky Cattlemen’s Association. He serves as a Director of Inter County Energy. Bill is also a member of the Green river Archeological Association where he enjoys collecting items and attending shows. Dr. Price is a Physician in Private Practice in Casey County. He is a graduate of University of Kentucky. He has served as Assistant Clinical Professor for University of Kentucky Department of Family Practice, teaching more than 30 students on their Family Medicine rotation and as AHEC physician preceptor for University of Kentucky Physician Assistant students on their rotations away from UK Med Center. Dr. Price has also served as a teaching Physician for University of Louisville Medical students on their outlying medical rotations and for the Pikeville Medical School for Osteopathic Medicine. He is a member of the Kentucky Association of Basketball Coaches and has been since 1995. Dr. Price serves as a Deacon at West Side Church. Bryan was a life long farmer, farming more than 800 acres. He was an Elder at McCormick’s Christian Church and served on the board of the historic McCormick’s Meeting House Foundation. He a was dedicated and respected member of the Board of Directors of PBK Bank for 37 Years. Bryan leaves behind his wife of 57 years, Carolyn and three children, Ronnie, Carla, and Ann. We deeply sympathize with and share the grief and bereavement of the family in the loss sustained by the death of Bryan Cooper. Mr. Galloway is a retired City Engineer for the city of Danville. 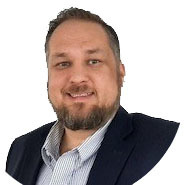 He is a current Engineer and Land Surveyor for AGE Engineering Services, Inc.
Jamey is Head Athletic Trainer and Assistant Athletic Director at Centre College where he served from 1988-1995 and then from 1999 to present. From 1995-1999. He was the Director of McDowell Wellness Center, a division of Ephraim McDowell Health. Jamey is a graduate of University of Kentucky with a degree in Physical education and a Masters of the University of Virginia with a Masters in education and Athletic Training. Mr. Gay also served as a Danville City Commissioner for 10 years. He has been a part of many community activities, serving as a Trustee of Danville-Boyle County Library. He has also served on the Heart of Danville Board. Jamey and his family live in Danville and attend Grace Presbyterian Church. Mrs. Peyton became a Director of PBK Bank at the death of her husband, Bank President Mr. Floyd Peyton in 1999. She is a retired teacher, having taught 20 years. She served as President of the Lincoln County teachers Association. Doris is a member of Hustonville Baptist Church. She is also a member of Lincoln County Retired Teachers Association. Rufus L. Shoopman lives in Casey County raising Angus Cattle and grain. Previously he served 11 years as magistrate in the Casey County Fiscal Court System. He has served on numerous county boards and committees.